History Detective Kids – Based on PBS’ History Detective television show, this site encourages children between the ages of 8 and 12 to use critical thinking, problem solving, and dramatic play while digging through the past. Funbrain – Funbrain hosts dozens of interactive educational games for children. This site covers most subjects and features web books, comics, and movies. Math Is Fun – Math Is Fun is intended to make studying geometry, algebra, data, money, and measurements more enjoyable. This site also offers puzzles, games, and worksheets. Brain POP – This interactive educational site offers games for a wide variety of subjects and grades. Brain POP also offers entertaining and creative way to explain difficult subjects to students. Kerpoof – Kerpoof is an educational game site provided by the Walt Disney Corporation. This interactive site was created to help kids discover, learn, and be creative. Discovery Dinosaur – This Discovery Channel site offers several interactive learning games, including the Dino Viewer. This handy interactive tool allows you to view facts and descriptions and watch movement. Geography Action – Geography Action from National Geographic offers several interactive mapping games that allow children to view and map the world. NASA – This NASA educational site offers a wide range of interactive games and activities for math, engineering, science, and technology. Funschool – Funschool provides games primarily for elementary children. Games are interactive and cover an assortment of subjects. PlayKidsGames.com – This site provides fun, interactive games for K-6 graders. Games cover math, vocabulary, spelling, computer, and other problem solving skills. Shmoop – Shmoop is a study guide site for U.S. history, literature, poetry, and writing. The site tries to make literature and other subjects more enjoyable by providing easy-to-read study guides and book summaries. FREE – This teaching resource site from the federal government offers an array of educational resources, including animations, primary documents, photos, and videos. Sparknotes – Although this site was created primarily for seniors and college students, Sparknotes does provide a wide range of resources for younger students. The most useful resources include study and literature guides, test prep materials, and a grammar guide. The Stacks – This Scholastic site encourages children to read with book clubs, book chats, games, quizzes, and much more. Slideshare – Slideshare makes it easy to upload presentations and documents to the web. This site is a great place to find information or just have students share ideas and connect with others. Empressr – Empressr is a free multimedia tool for creating presentations. This app allows you to add music, video, pictures, and audio to each presentation. Mindomo – This free brainstorming app stimulates creative thinking. Mindomo also makes it easy to organize your wild ideas into streamlined mind maps. Altas – Altas is a great Twitter app that maps tweeters around the globe. This is a fun, interactive way to encourage students to learn geography and culture. Whiteboard – This writing web app allows students to collaborate with others in real time. Whiteboard makes it easy to write, collaborate, and share work. OuTwit Me – Outwit Me is a Twitter app with fun, challenging games, including storyteller, crack the code, and guess word. This is a guest post from education writer Karen Schweitzer. Karen is the author of the About.com Guide to Business School. 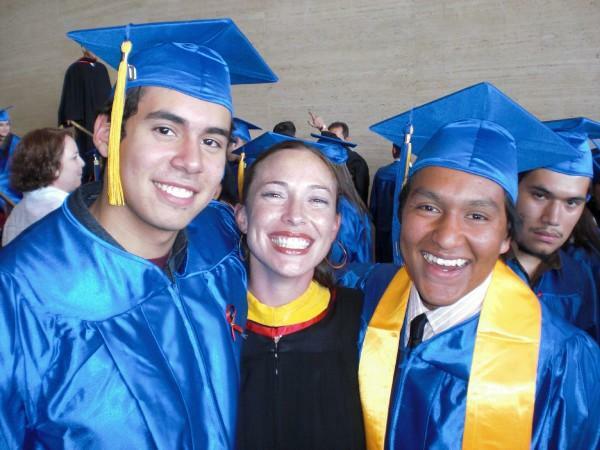 She also writes about accredited online colleges for OnlineCollege.org. – It’s a great source of news. – There are rich conversations among educators and edtech people. – People post entertaining, interesting, and very useful links. – I enjoy the easy interaction with others from around the world. Most people start off in a rocky relationship with Twitter. It doesn’t seem to be as easy or as useful as everyone has said, it takes awhile before you find your niche, and there is an overwhelming amount of information to deal with. But, just hang on – it’ll be worth it!!! This is a guide to help teachers, or anyone for that matter, have a smoother and more enjoyable experience. It is, by no means, the most comprehensive list of tips but hopefully it’ll be helpful. If you need a little more convincing that Twitter is amazing, check out Mark Marshall‘s post “Twitter – What is it and Why Would I Use it?”. Your picture: you should definitely have some sort of picture – people seem to respond better to actual photos, but avatars, cartoons, or logos are fine, too. Your bio: it is very helpful to include keywords here because often, when someone is deciding whether to follow you or not, this is where they’ll get their “first impression” of you. And, Twitter Grader scans bios for keywords for their ‘search’ feature. Your URL: this is important! People will want to know more about you than your bio and what you tweet. Even if you don’t have a blog or website, you could post a link to your school’s website or another account you have, such as LinkedIn, Facebook, or Classroom2.0. Who are the people that you follow talking to? Browse their @replies. Who are the people that you follow following? Who Should I Follow is an app that seems to make good recommendations. You’ll hear people talking about the Twitter “stream”. This is derived from a beautiful metaphor in which the tweets people send out can be considered drops of water in a stream. You’re standing on the bank, enjoying the stream as it passes, but you can’t worry about enjoyoing every drop of water that’s there. Don’t worry about the tweets you missed – I promise that there are always, currently, very interesting things to read. But – it is nice to catch up sometimes by browsing old tweets on peoples’ profile pages. TinyURL – if you want to tweet a link, but it’s very long, this will shorten it to 25 characters. Bit.ly – this also shortens a link, and it allows you to specify part of the new URL. If you sign up for an account, you can track how many clicks your shortened URLs get. TwitterSymbols – fun symbols you can insert into your tweets. If you start a tweet with @(username), this will automatically land in that person’s “@replies” folder. You’ll notice that if you reply to something someone said, your message will automatically start with this “address”. These tweets will show up in your friends’ tweet-streams only if they have chosen to see @replies – you can change the settings for this. This stands for Direct Messages. These are private messages that most people choose to use to introduce themselves or to bring an elongated “@reply conversation” over to a more appropriate venue. You can DM someone from your DM folder or from the sidebar of their profile page, but only if they are following you. This stands for ReTweet. If you want to share what someone else tweeted, it is only polite to give them credit by including “RT @(username)” somewhere in your message. • Those who only write mundane, one line messages, like “This coffee is good”. I want to be able to have conversations with people. • Marketers – there are a ton of marketers on Twitter. Be wary of someone who’s following 5,000 but only has 18 followers. Sometimes they’re worth following because they are actually interesting, but do not feel obligated to follow them if they are not. I find it’s best not to clog up my Tweet-stream with advertisements. Tweetdeck – This is a free download that gives you a separate window (your Tweetdeck) that has multiple columns to display tweets concurrently – with a live-feed, too!. You can choose their content – personalized groups, an entire column just for your DM’s or @replies. I like to keep it in the background of my computer-work all day. Twistori – live-feed for tweets that include “love”, “hate”, “think”, “feel”, “believe”, or “wish” – the result could be called art. TwitterMosaic – Create a mosaic with pics of all of your Twitter friends – put it on your blog, or a coffee mug, or a t-shirt. Christine Morris put Twitter to use in her class for some real-time research and shares the experience and great tips here. Here is an extensive and helpful list of ‘100 Tips, Apps and Resources for Teachers on Twitter’. Twitdom – a Twitter application database, with over 300 tools to play with! @butwait has a ‘Twitter for Newbies’ page here, with TONS of resources. If you’d like to follow me, click here. And, if you’d rather read this guide in Portuguese, see Rodrigo Vieira Ribeiro’s blog! A website is more informative, while a blog, ning or wiki is more interactive because they allow students to contribute. I actually suggest having both. But because blogs, nings and wikis require constant maintenance, it’s nice to have a website that is super-easy to build and edit. I suggest using Weebly for this. It’s free and extremely user-friendly. If you have a Weebly website, or plan to get one, please share your URL in the comments! I read a recent post by Claire Thompson called “Tools and Sites I Use – One Year Later“. I really like what she did – last January, she blogged about the tools that she used regularly, and now she’s gone back and reviewed and updated that list. Sounds like a fun way to reflect. Yammer – microblogging, within an organization – basically there are about 8 of us at Inigral, Inc. that keep up with each other this way. diigo – social bookmarking site where I keep my favorites and love following the daily links that I get via e-mail, through the Classroom 2.0 group. Youtube – I end up watching something on here every day. Will it hold its own against the competition this year? Any iPhone app, period – hope to get one soon! What do you use that’s not on my list? Weebly Rocks! Build a classroom website, or one for each student! 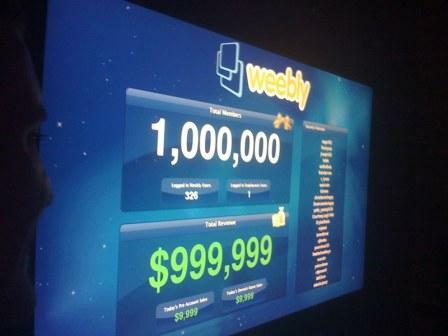 While visiting San Francisco, I had the pleasure of attending a spontaneous party – we were celebrating Weebly‘s 1,000,000th user! A friend of mine set up a Weebly page for her son’s class – the teacher and the other parents loved it so much, Camille made a screencast about classroom Weebly’s so that others could tap in to the power of this tool. Part 4: Action! Let’s get Web 2.0 into our classrooms! As a former teacher, I know how hesitant we can all be when trying new things in the classroom. There’s always someone telling you why (shiny new object) is going to “improve” things even when, 9 times out of 10, those new things ended up creating more problems than they solved. Not in the case of Web 2.0. The power that certain tools like wikis, social networking sites, and group presentation software can give to teachers and their students is still unknown. Up until now, applications have already been created for ease-of-use, so some of them might *actually* make your life easier. Using a wiki: this can serve as a good ‘homepage’ for a course, but it can do so much more, too! I suggest creating assignments that will require students to add and review others’ work. The highest level of Bloom’s taxonomy is evaluation, and this is a very easy way to hit that mark and get students to think more deeply and broadly about what they’re learning. Using YouTube: have students post videos – skits, conversations, creative representaions of the material that they’re synthesizing, as well as post response videos and comments. Using Facebook: go beyond just creating a group for your class if it’s available; use a community-building application such as Courses or Schools. Yammer is a great tool for keeping members of a smaller group up-to-date on the progress of projects. Students can use this to delegate roles and ask each other question as they go. There are hundreds, if not thousands, of free tools out there – find what YOU feel comfortable using. – Vicky Davis is finding new, cool things almost daily. – Dean Groom offers some tips for teachers who are ready to ‘jump in’ and reports on how integrating on-line tools helped the collaborative efforts for a group project.